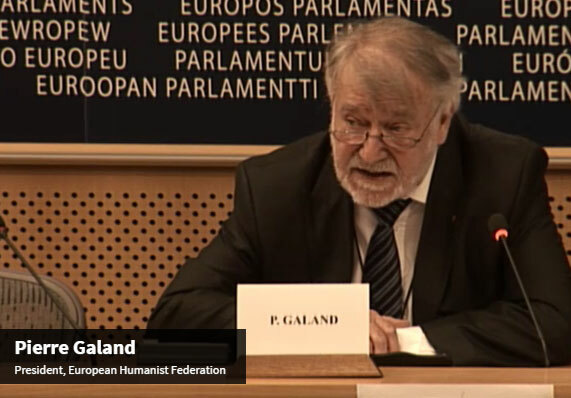 One of the founding partners in our International Coalition Against Blasphemy Laws (ICABL), the European Humanist Federation, was the first invited speaker at the European Parliament Platform on Secularism in Politics (EPPSP) this morning. 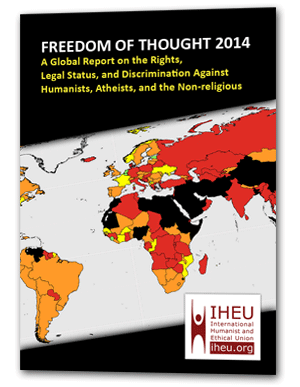 President of the European Humanist Federation, Pierre Galand, referred the conference to the European Guidelines on Freedom of Religion or Belief and called for them to be applied not only to the “external” affairs of the EU but within the EU, where, despite the general move away from “blasphemy”, numerous countries still outlaw insult, defamation or indeed explicitly “blasphemy” against religion. He stressed that “there is no fundamental right not to be offended” even with regard to deeply held or sensitive belief; rather it is necessary for free expression, and that critical discussion of religion is essential. The event was broadcast live and is hopefully available for posterity at: https://alde.livecasts.eu/eppsp-freedom-of-speech-the-right-to-blashpemy. The content below was live-blogged during the meeting. Scott Griffen, Director of Press Freedom Programmes, International Press Institute, summarised the case against “blasphemy” laws and how — reflecting the approach of the End Blasphemy Laws Campaign — the International Press Institute is concerned not only explicit “blasphemy” laws but also laws against “defamation” of religion or groups in this way. He criticised the defence of such laws as necessary to maintain peace, noting that in fact they are associated with violence and intimidation. This point was echoed by Jacob Mchangama of Justitia, noting that “restricting free expression” will not “foster tolerance” and peace in Europe, on the contrary it magnifies issues of social disharmony. Later, in response to a question about insult and respect, Mchangama talked about what he called “the redistribution of blame”, and the fallacy of decrying violence before immediately moving on to speak as if the satirist or critic deserved or should have expected that violence. “If you follow that logic through,” he said, you’d end up saying “really people should have been more considerate than participating in a debate about free speech and Islam”. 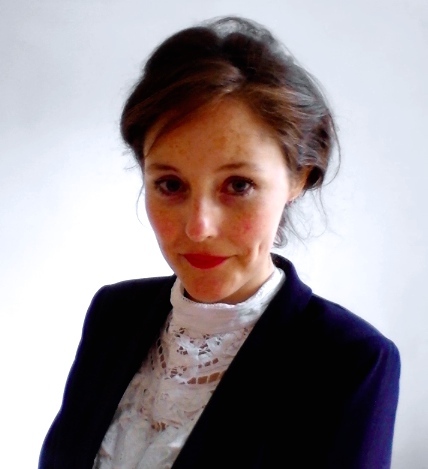 Elizabeth O’Casey, from another founding ICABL partner, the International Humanist and Ethical Union, while agreeing with the need to reform laws restricting free expression, also raised the threat of self-censorship, noting that even in countries with no specific “blasphemy” laws, fear of reprisal or of accusation of stirring trouble or offence, led to newspapers suppressing or pixelating pertinent Charlie Hebdo images, for example. Keith Porteous-Wood, from the UK National Secular Society, also an End Blasphemy Laws affiliate, concurred with O’Casey that self-censorship on “blasphemy” issues should not be ignored, and could have the same end result as legal restrictions. He further raised the years-long campaign of the Organisation of Islamic Cooperation’s campaign to introduce an internationally-binding anti-blasphemy laws. Taking a somewhat clearer stance on the subject at issue, Jonathan Romain of the Movement for Reform Judaisim opened: “Freedom of speech is essential, including the right to blaspheme”. He noted that restricting free expression was the tool of authoritarian regimes, and that in fact religious texts contain clear examples of “blasphemy” that are presented as humour and not castigated as criminal sacrilege. “Can religious satire be abused? Yes.” But he continued, satire that is deployed primarily to offend would usually “fall flat”, and the mere existence of “abuses” of the right to ridicule cannot justify restrictions. On the contrary, “You can’t have the right to preach without also having the right to blaspheme.” He went on to argue that a faith which cannot stand up to satire and criticism was “insecure”, so the right to blasphemy was necessary also to the “self-respect” of religion. “A world without criticism would be a world that never progressed.” We may have the right to call something “blasphemy”, without a corresponding right to stop it being said, he concluded. The chair, Sophie in ‘t Veld MEP, concluded with a strong restatement of her opposition to “blasphemy” laws, standing “against any kind of restrictions solely for the reasons of protecting or defending religion or belief”. We must accept the fact that sometimes we are offended. She noted that what violent fundamentalists want is precisely to see a lack of progress in this area. And in the closing remarks, Co-Chair of the EPPSP, Virginie Rozière, argued that the need to focus specifically on freedom of expression with regard to religion stems from its intersection with violence. She reiterated earlier remarks by Sophie in ‘t Veld to the effect that we do not see other groups who find themselves frequently satirised or even intentionally the subject of hatred responding with violence.